Oh ho ho, that's what you think. 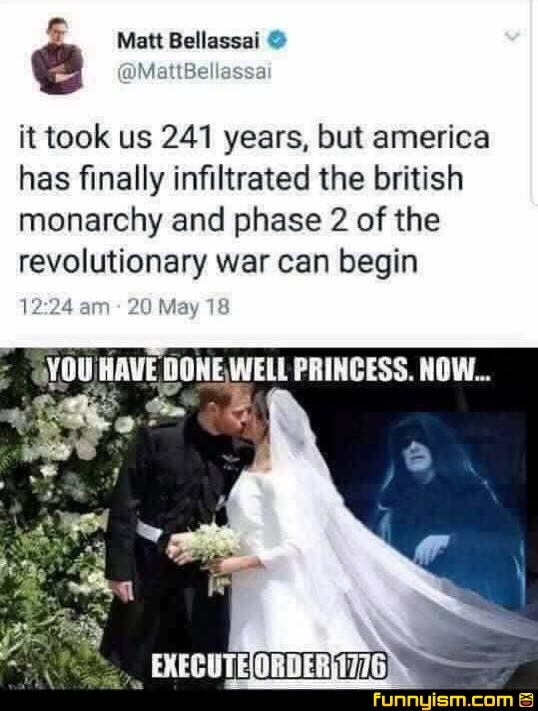 In reality us British are using this wedding to retake America. @I grade CH memes, what would you guys do burst into flames or be nice to use too death. I jest of course not like us Americans could fit out of the house. *leans in close* "Hail Hydra"
Either we’ve been infiltrated twice or it’s a retoast.